Governed by a board of directors drawn from all parts of the state, the Humanities Council serves West Virginia through grants and direct programs in the humanities. West Virginia Historical Education Foundation Inc. 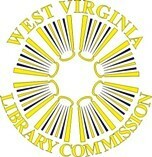 The following organizations and individuals provided generous support for the creation of the West Virginia Encyclopedia.